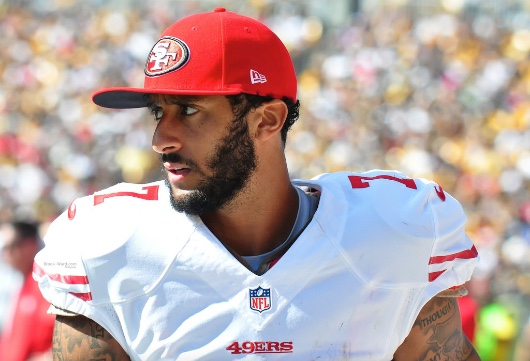 Even people who do not follow the National Football League likely have heard of San Francisco 49ers quarterback Colin Kaepernick’s refusal to stand for the national anthem before games this season. Other athletes have followed suit, while many pundits have lined up on one side or the other in support or denunciation. But why not set the whole issue aside by not singing the national anthem at NFL games? The practice of singing the U.S. anthem at sporting events dates back to the late 1800s and gained ground at Major League Baseball games around the time the United States entered the First World War. Thus not only patriotism, but militarism became connected with the proxy wars of the gladiators on the field. Indeed, the American military and American professional sports have become so intertwined, reaching apotheosis in the extravagances of the pre-game rituals of the Super Bowl, that the NFL surprised many earlier this summer when it returned $724,000 it was paid by the Defense Department to host patriotic celebrations at games. Yet as common a practice as it has now become to sing the national anthem before exhibitions of professional sports (and, indeed, in sporting events all the way down to the most minor of leagues), no one expects to do so before exhibitions of professional music, or dance, or theatre. Perhaps, then, it is time to disentangle civil religion from athletic entertainment, where it truly is an odd outlier, and this whole issue goes away. In the meanwhile, however, can America’s civil religion of God, country, and football (or, indeed, other national pastimes) allow Mr. Kaepernick to exert his First Amendment right to refuse a rite? Strikingly, many voices claim that since he is an entertainer being well paid to amuse us, he should shut up and stand up. Apparently in this case, Americans don’t want to mix politics with religion—civil religion, yes, and the religious pursuit of an afternoon’s happiness at a ball game. In a year in which major political figures have openly challenged America’s great traditions of liberty, diversity, and tolerance, Mr. Kaepernick’s gesture seems awfully mild. But it at least gives us something worthwhile to talk about during the first TV time-out. - “NFL to return $724,000 that taxpayers spent on patriotic tributes.” CNN Wire. May 19, 2016. - Wyche, Steve. “Colin Kaepernick explains why he sat during national anthem.”NFL.com. August 27, 2016. 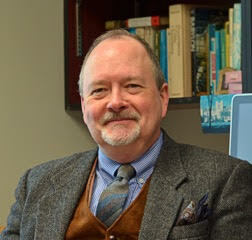 Author, John Stackhouse (PhD ‘87) holds the Samuel J. Mikolaski Chair of Religious Studies at Crandall University in Moncton, Canada. He was a wide receiver for the decidedly mediocre Widdifield Wildcats Secondary School football team.